How Far is MS Garden Plot? 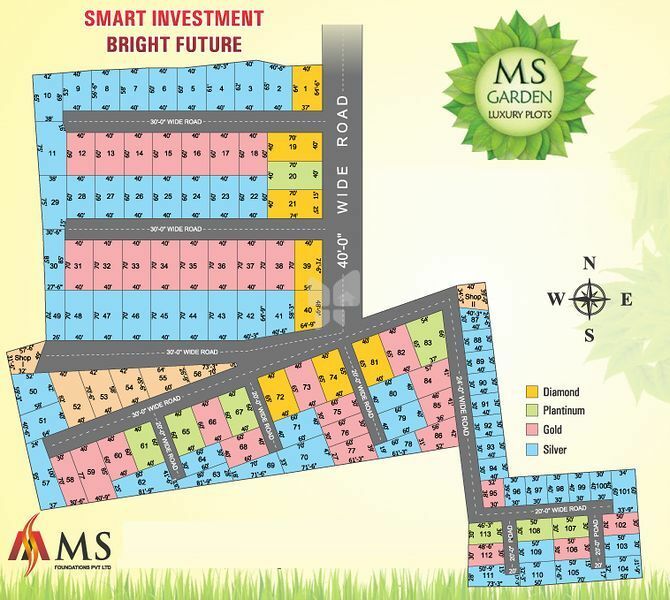 MS Garden is situated in Chennai. This project provides all facilities that a modern property buyer would want to have. The Project is a part of the suburban area of Poonamallee. Poonamallee is linked to neighboring localities by wide roads. Residents of the locality have easy access to community utilities like schools, colleges, hospitals, recreational areas and parks. The facilities inside the project are well designed. At MS Foundations, we are into the mission of creating places and homes for people to live in. We are a highly popular and distinguished player among real estate developers, land promoters and builders in Chennai. Convenient real estate communities and comfortable independent houses are the true hallmarks of modern civilization. Our business is to fulfill the most basic requirement of your life in a sophisticated way, thereby giving way to the flourishing of ultra modern civilization. MS Foundations is a popular name in Chennai, especially in the western and northern suburbs of the metropolitan including Poonamallee, Kumananchavadi, Porur, Iyyappanthangal, Mugalivakkam and Redhills. We have our prestigious real estate and housing project offerings in all these localities and some others. We create and market a variety of layouts for communities; we build and promote diversified kinds of flats, villas and independent houses. Thus, we are a one stop solution for all your property and housing needs. The wide portfolio of our offerings means we have something for everybody. We cater to the needs of every taste, requirement and budget. The suite of our projects presents a baffling variety of choices for you to make your pick. Buying plots and homes and investing in real estate is one of the biggest decisions in life. We spare no effort to see that our projects offer the best value for your hard earned money. Each one of our projects is uniquely special. Our offerings are named in a way reflecting their distinctive specialty. The common characteristics of all our projects are convenient access to the city, serene and tranquil setting, proximity to facilities, full legal compliance, economic pricing and high growth prospects. Therefore, our plots, villas and houses are ideal investment choices that will grow in value, offer wonderful places to stay and be priceless legacies to be passed on to your generation.